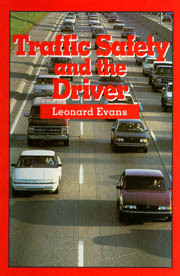 In Chapter 7 we conclude that alcohol's role in increasing traffic crashes far exceeds that of any other single factor. The quotations which introduce that chapter further document that alcohol abuse has been recognized as responsible for various ills for thousands of years, and that the most basic countermeasure, namely, exhorting the individual abuser to not indulge in such reprehensible behavior, has also been attempted for thousands of years. When motorization greatly amplified the amount of harm an intoxicated individual could do, especially to others, the need increased for a richer armory of countermeasures. These have focused either on correcting the behavior of the individual abusing driver, or on the broader social context in which the driver drinks. Measures focused on the individual driver include criminal sanctions, on-board screening devices, and server intervention; those focused at the societal level include economic influences, restricting the availability of alcohol, and inputs to social norms. made drinking and driving a criminal act. The State of New York passed a drinking/driving law in 1910, and in 1924, the State of Connecticut jailed 254 drivers for driving while intoxicated. These early drinking-driving statutes described the offense as "drunken driving" and later, as it became obvious that individuals who did not appear drunk still could be sufficiently impaired to be a risk on the road, the term became modified to "driving under the influence of alcohol" or "driving while impaired". Arrest on these charges depended largely on the subjective judgment of the police officer, and the subsequent trial focused on vague definitions of the offense. The advent of instruments to measure objectively alcohol content in the body gave rise to "per se" laws, which proscribe driving with alcohol content exceeding specified legal limits. The first such law, enacted in Norway in 1936, criminalized driving with a BAC in excess of 0.05% [Glad 1987]. The other Scandanavian countries, Sweden and Denmark, adopted similar laws. The term "Scandanavian approach" indicates per-se laws enforced by severe punishments. This approach is generally considered successful in reducing drunk driving [Snortum 1988], although Ross [1975; 1988] does not find the evidence convincing. the defense cannot discredit the measurement, conviction is essentially assured. The first "per-se" law outside the Nordic countries (the three countries of Scandanavia plus Finland) was included in the British Road Safety Act of 1967 [Ross 1984]. The act, which became effective on 9 October 1967, and applied only to England and Wales, made it an offense to drive, or attempt to drive, a vehicle on a road or other public place "having consumed alcohol in such a quantity that the proportion thereof in his blood, as ascertained by a laboratory test for which he subsequently provides a specimen ...... exceeds the prescribed limit" which was set at 0.08% BAC. Blood samples are required when preliminary breath tests indicate the presence of alcohol. Drivers involved in crashes, or observed driving erratically, are administered the breath tests by police. An earlier proposal to test randomly chosen drivers was abandoned in the face of vigorous political opposition. The effect of the act is most clearly illustrated in Fig. 8-1, which shows weekend night fatalities and serious injuries in England and Wales [Ross 1984]. The 66% reduction following the act [Ross 1984, page 30] is one of the largest changes associated with any intervention observed in traffic safety, and Ross [1988, p 66] comments that the 1967 British Road Safety Act appears in some ways to have been the most successful deterrence-based measure ever launched against drunk driving. Further evidence of the influence of this intervention is provided by a time series analysis by Broughton  which finds that in 1968 all traffic fatalities per unit distance of travel declined 11% below the long term trend, but resumed along the trend line thereafter; the data in Fig. 8-1 also drift back to their prior trend. The apparent success of British Road Safety Act of 1967 played a role in the thinking of other legislative bodies. The Canadian Criminal Law Amendment Act of 1969, which made it an offense to drive anywhere in Canada with a BAC in excess of 0.08%, was directly inspired by it. Although this law was at the federal level, enforcement was in the hands of the provinces. The law does not appear to have been as successful as that in Britain, perhaps because of less public controversy (and consequently less news coverage), and less threatening enforcement [Ross 1988]. In the US, as of May 1989, 45 states and DC had per-se laws; in the others drivers are presumed to be driving drunk if their BAC exceeds the specified legal limit unless they can prove otherwise. Apart from four exceptions, all the states plus DC have set their legal limit at 0.1% BAC; the four exceptions being Georgia, which has a limit of 0.12%, and Maine, Oregon and Utah, which have limits of 0.08% BAC. There are efforts underway in many states to adopt lower limits. The Association for the Advancement of Automotive Medicine has a November 1987 policy recommending that 0.08% BAC should be the per-se legal limit, with 0.05% BAC considered presumptive evidence of driving impairment. 19%, one of the clearest and largest changes in traffic safety associated with a specific intervention, followed the introduction of random breath testing. An examination of the fraction of fatal crashes that involved alcohol [Roads and Traffic Authority 1989, p. 21] shows a corresponding drop downwards, from about 28% to 22%. Such a change implies that in the pre-testing period, there were 39 crashes involving alcohol for every 100 not involving alcohol, compared to 28 crashes involving alcohol to every 100 not involving alcohol in the post-testing period. If one assumes, as approximations, no change in the number of crashes not involving alcohol, and that fatalities are proportional to crashes, then the indication is that fatalities decreased, to within a scaling constant, from 139 to 128, an 8% decline. Although this calculation rests on uncertain assumptions, the difference between the 8% effect estimated and the 19% decline apparent in Fig. 8-2 suggests strongly that part of the reduction in fatalities is due to factors other than reductions in driving while intoxicated. A likely explanation is that the increased likelihood of interacting with police administering the testing program exercised a controlling influence on other types of driving behavior also likely to lead to fatal traffic crashes, or that driving, especially by high risk groups, was reduced. Similar effects could have contributed to Fig. 8-1.
injuries. In monetary terms, he estimates the benefits of the program exceed its cost by well over a factor of 30. What is an appropriate legal BAC level? Jurisdictions throughout the world have written different BAC limits into "per-se" laws. In the late 1980's Sweden discussed making the limit zero BAC -- that is, making it an offense to drive with any detectable alcohol in the body, thus reflecting a Swedish social norm of "no alcohol in your blood when driving" [Klette 1990]. For various practical reasons, the zero BAC law was not accepted, but instead a 0.02% BAC law was passed by the Swedish Parliament in February 1990 to take effect in July 1990. The trend to lower legal BAC limits is in part propelled by the increasing body of research documenting skill reductions at ever lower BAC values. However, as pointed out in Chapter 7, unless the response versus dose curve for alcohol consumption is of a threshold type, it is inevitable that better measurements will provide evidence of impairment at ever lower amounts of alcohol consumption. The move to ever lower legal limits is inspired partly by a view that increased risk from alcohol use is more morally reprehensible than increased risk from other sources, such as driving while fatigued, upset, distracted or slightly ill. Driving 65 mph when the speed limit is 55 mph increases risk of involvement in a fatal crash by a factor of 2.0 (Eqn 6-3), the same risk increase associated with driving with BAC between 0.05% and 0.099% compared to zero BAC (from Table 7-2). problem drinkers and alcoholics rather than social drinkers [Waller 1985, p.518; Vingilis 1983]. Thus, while it could be argued that there are advantages in terms of clarity of principle for a zero BAC limit, the direct safety benefits of zero or very low BAC limits are modest compared to the benefits of enforcing higher ones. It seems to me that a modest degree of risk above the minimum similar to that acceptable for many other characteristics, such as hours of continuous driving, vehicle condition, and driver age, should also be acceptable for the case of alcohol in the private driver. The much stricter standards applied to commercial drivers (of trucks, busses or or airplanes), requiring rigorous standards of equipment inspection, driver testing, narrower age-limits, limits on hours of continuous service, etc., seem to encompass zero BAC limits as a more natural and justifiable component. Zero, or very low (say, less than 0.04%), BAC limits for private drivers appears to be an inconsistent component of any overall approach to driver risk, and one unlikely to produce much, if any, safety benefit. Indeed, such policies could increase sympathy for serious violators of drunk-driving laws, with consequences which could be counterproductive to traffic safety. Three objections have been raised to the types of approaches described above; they have only short term effects, "per se" criteria are intrinsically unfair, and monitoring motorists is a violation of civil rights. any comparison. For Fig. 8-1 there is no way to tell whether the late 1969 data are, say, 10% higher or lower than they would have been in the absence of the intervention. If the measure has a 10% residual long-term effect, then this would be of the utmost importance, though not observable. Even if the crash level returns eventually to the level it would have been without the intervention (in my view, not the most plausible possibility), all the harm prevented between intervention and reversion to prior level still adds up to a considerable benefit. One main reason why crash rates tend to drift back to prior levels after the introduction of interventions is that the objective risk of detection is small. The intervention is introduced with much publicity, convincing motorists that if they transgress, they will be subject to well advertised penalties. Later, people observe directly and by exchanging experiences with others that there is not a policeman at every corner, nor outside every drinking establishment. The New South Wales data (Fig. 8-2) suggest that when detection levels are maintained objectively high, harm reductions persist. It has been have argued that making it an offense, per se, to drive with BAC above some arbitrary level is basically unjust, given the widespread variability in how alcohol degrades driving performance [Donelson 1988]. This seems parallel to the issue of driving at unsafe speeds. In the early days of driving there were general prohibitions against "driving at unsafe speeds", without specific speeds necessarily being defined, nor measuring equipment being available. Today, speeding laws throughout the industrialized world are essentially all "per se". A speed limit is posted, and if a driver violates it, objective evidence (often from radar) is sufficient to ensure conviction. It is rarely argued that "per-se" speed limits are intrinsically unjust because some drivers are safer driving well above the speed limit than others are driving below it. While conceding the success of the New South Wales random breath testing program in reducing harm from traffic crashes, Ross [1988, p.75] expresses concerns regarding its intrusiveness, and reduction of civil rights of the average driver, and further considers it an unlikely policy for application to other jurisdictions, especially the US. Yet a survey by Cairney and Carseldine  finds 95% support for random breath testing; even 87% of those charged with an alcohol-related driving offense expressed support for continuance of the program. The intrusiveness and civil rights issues seem somewhat parallel to those involved in screening passengers for bombs and firearms before boarding aircraft; in the US about 400 million such screenings are performed per year for expected harm reductions small compared to the effects shown in Fig. 8-2. On-board devices to evaluate fitness to drive have been discussed since the late 1960's [Voas 1969]. Nearly all the devices developed to date have focused on monitoring the driver prior to commencing driving rather than continuously during driving. Pre-driving testing is less difficult technically, and promises more immediate results. The testing device may be coupled to the ignition circuit so that failure renders the car undrivable, or it may simply advise the driver, or others, of impairment. There are two approaches to detecting intoxication. The first is to mon­itor some performance characteristic which degrades with intoxication. This approach has the appeal that it focuses directly on performance degradation, rather than the cause of performance degradation. It should therefore be equally effective at identifying drivers unfit for driving through the use of any drug, or for that matter for non-drug related factors, such as fatigue. The second approach is to measure the presence of intoxicating substances in the body. This has the appeal that it ties in directly with per-se laws. Recently, advances in solid state devices have led to progress in developing on-board devices to measure breath alcohol content. Each of these approaches has distinctive advantages and disadvantages. As the performance approaches were the initial focus of on-board devices, we first discuss these. task bear some resemblance to tasks required in driving. This led to the use of the steering wheel as test control input device. The task which has received most attention as an on-board monitoring device, and which has been field evaluated, is the critical tracking task [Tennant and Thompson 1973]. The critical tracking task is basically a psychomotor tracking task which was developed in the mid-1960's for testing astronaut visual motor capability [Jex, McDonnell, and Phatak 1966]. The subjects' task is to maintain the position of a pointer close to a zero, or neutral position, as an electronic random-noise signal generator drives the pointer back and forth. When the pointer departs more than a set amount from the zero position, the trial terminates. The speed with which the pointer is driven back and forth is progressively increased, thereby increasing the task difficulty until the subject inevitably fails. The time to failure is the measure of performance. The task has been likened to balancing a broom handle on the palm of the hand; the task is easy when the broom handle is long, but becomes more difficult, and eventually impossible, as the broom handle becomes shorter. findings are interpreted to show the feasibility of an on-board alcohol- detection device based on performance degradation. The National Highway Traffic Safety Administration evaluated three models of commercially available in-vehicle alcohol test devices [Frank 1988]. The alcohol sensor for each was enclosed in a hand held unit (Fig. 8-3.). All three were set at a threshold BAC of 0.03%, and tested using mechanically produced breath samples containing different alcohol concentrations. In nearly all cases, samples below 0.03% passed, whereas those above, even by small amounts, essentially all failed. Thus all three devices achieved their design goals to a considerable extent -- they fairly accurately measured BAC in an on-board environment, leading Compton  to conclude that the technology is feasible. Indeed, 12 states have active interlock programs and an additional 12 have passed legislation which allow judges or state agencies to use ignition interlock systems as optional sanctions in drunken driving cases, generally only for second offenders. It is reported that there is a less than 1% re-arrest rate, indicating that ignition interlock systems can be effective in selected applications. smaller is by allowing the other to become larger. Errors can be somewhat reduced by increasing the number of trials, or the duration of the test, but such fixes have their own disadvantages. However, increasing the amount of testing cannot reduce either type of error to arbitrary small amounts, and substantial discrimination errors appear intrinsic to any device based on measuring performance. Devices directly measuring BAC largely solve the problem of discrimination, but they have so far not satisfactorily solved the problem of driver cheating. In the performance-based tasks, the task was customized to the individual driver, who became overtrained at it; as a random driver could not perform the task at the passing level, there was little possibility that a drunk driver could solicit the help of someone sober to start his or her vehicle. As the BAC measuring devices are based on a breath sample, which could be provided by anyone, it becomes more difficult to prevent cheating. Sober breath stored in a balloon or plastic bag could also be used to fool the device. Various technological countermeasures have been developed. For example, one of the devices described by [Frank 1988] measures the temperature and pressure of the injected air and requires it to be within appropriate limits for the test to be passed. However, the war between the ingenuity of the tested and the technology of the testing has not yet been decided. As discussed by Voas  and Jones and Joscelyn , there are many other practical and legal problems which need to be solved, even if the basic technical problems could be mastered, before widespread breath monitoring would be feasible. punishment. It is difficult to foresee any circumstances in which many drivers would voluntarily subject themselves to another procedure before starting their vehicles, even if the procedure is error free, and the hardware costs nothing. The benefits of installing such devices on the vehicles of those convicted of drunk driving is necessarily limited to the harm done by such drivers. Reed [1981, p. 352] estimates that drivers with previous drunk driving arrests comprise 10% of all alcohol-influenced drivers in fatal crashes, 15% in injury crashes, and 20% in property-damage-only crashes. Combining these with the percent of harm attributable to alcohol in each category (47% for fatalities, 25% for injuries and 12% for property damage, as determined in Chapter 7) gives that preventing all drivers arrested for drunk driving from ever driving drunk again would reduce fatalities by 4.7%, injuries by 3.5%, and property damage by 2.4%. server intervention to occur by drinking three alcoholic beverages per hour for two consecutive hours. Using a hidden microphone, a partner taped all interactions between the server and pseudopatron, and at the end of the session measured the pseudopatron's BAC. It is found that the trained servers initiated significantly more interventions to reduce the probability of driv­ing while intoxicated than did untrained servers, and that the pseudopatrons served by trained personnel exhibited fewer signs of intoxication and had lower BAC levels than the pseudopatrons served by untrained servers. Server intervention is becoming increasingly popular in the US as businesses take steps to protect themselves from potentially enormous liability suites [Geller and Lehman 1988]. Individual party hosts have also been held liable for behavior of departing guests. Server intervention has become important also in Canada, where, in 1989 the Supreme Court of Ontario ordered a tavern to pay nearly $1 million dollars in damages to a teenager disabled in car struck by an intoxicated patron [Traffic Injury Research Foundation of Canada 1989]. The court judged the drunk driver and the tavern were be equally responsible. environment can unquestionably affect drunk driving. The number of drunk driving offenses depends on innumerable inputs, including, but by no means limited to, those from major institutions like government, the alcoholic beverage industry, advertising and the mass media. Because alcohol has been embedded in human affairs for so long, and is considered by many to be provide much benefit, institutions to produce, market and distribute it have acquired deep roots. There are many major national companies and thousands of smaller businesses deriving all or part of their incomes from alcohol. The alcoholic beverage industry provides millions of customers with products they willingly purchase, pay taxes on, and enjoy without discernible ill-effects to themselves or others; we use the term alcohol industry for convenience, even though, as pointed out by Mosher and Jernigan , it is not a monolith. Many, including physicians, claim health benefits from moderate alcohol use; in reviewing 150 literature references on the health effects of modest alcohol consumption, Colsher and Wallace  find evidence that the risk of coronary heart disease is reduced by modest alcohol use, though they do not consider the relationship to be established beyond reasonable doubt. Within countries with traditions of alcohol use there is today little sentiment that it should be prohibited; there is even less that it should be marketed freely like other products (available to all ages, free samples in the mail to attract new customers, reduced cost coupons, coin operated vending machines in public places, etc.) It is almost universally agreed that government should regulate the distribution of alcohol, and influence its cost through taxation policy. Given the toll of traffic deaths and injuries, and other ills attributable to alcohol use, one expects a natural ongoing tension between the interests of the alcohol industry and the goals of public health, particularly traffic safety. Mass media programming and advertising convey an impression that just about everyone drinks alcohol. Vingilis  notes that television tends to represent alcohol consumption as normal, appropriate, glamorous and inconsequential, citing in support research suggesting an average of 5.7 scenes per hour in which some form of alcohol was observed, and that it was the most frequently preferred drink for the characters. The alcohol industry has effectively conveyed the impression that the problems associated with alcohol arise from abuse by an aberrant few whose conversion to abstinence would be an immediate boon to everyone, especially their industry [Ross 1987b]. Such a view contradicts the basic logic that the alcohol industry, like other industries, depends heavily on its best customers. moderate drinking would go a long way towards solving the drunk driving, and other, problems, any reasonable interpretation of the data that are available suggests that this same change would generate a major loss of business to the alcohol industry. In common with other commodities, increasing the price of alcohol is expected to decrease its consumption. Economists describe the relationship between price and consumption in terms of "price elasticity"; an elasticity of -1 means that a (say) 5% increase in price leads to an equal 5% decrease in consumption, whereas an elasticity of -0.1 means a 0.5% decrease in consumption for the same 5% price increase. Although there is always high uncertainty in elasticity estimates, Ornstein  observed that a consensus has developed for a price elasticity (for all consumers) for beer of about -0.3 to -0.4; for wine and liquor, he finds no clear consensus, although both appeared in general to be more price responsive than beer. Elasticity estimates of -0.5 to -1.0 for wine and -1.0 to -1.5 for distilled spirits are not incompatible with much of the literature. Phelps [1988a] finds that even modest increases in the tax on alcohol generate large reductions in harm from traffic crashes, because those preferentially responsible for the problem, young males [Wagenaar 1984], are the very ones most sensitive to price increases. driving. At a more macroscopic level, Wagenaar and Streff  report relations between overall economic conditions, alcohol consumption and fatal traffic crashes. US federal tax policy, rather than contributing to reducing drunk driving has been operating in the opposite direction. The Federal Excise Tax on liquor, beer and wine remained constant in absolute dollar terms between 1 November 1951 and the end of fiscal 1985, a period during which general prices increased typically by more than a factor of four, as indicated by the consumer price index. During that period the Federal Government taxed 100 proof liquor at $10.50 per gallon, beer at $0.29 per gallon and wine at $0.17 per gallon. In 1985 the tax on liquor was increased to $12.50 per 100 proof gallon, but that on wine and beer remained unchanged. These taxes add the following amounts to the price of the "typical" drinks defined in Chapter 7; liquor, 9.8 cents; beer, 2.7 cents; and wine, 0.5 cents. In addition to federal excise taxes, there are additional state and other taxes. However, the pattern has been somewhat similar, with the amount of tax declining in real terms, leading to reductions, in inflation-adjusted dollars, in the cost of alcoholic beverages [Cook 1981]. approximately fixed, but applying an equal tax on all beverage ethanol, independent of type of drink, can be expected to benefit traffic safety by increasing the cost of the drink of choice of the young males, while lowering the cost of hard liquor, which is more favored by older drinkers. Other combinations are possible, each with different sets of pros and cons; for example, raising the tax on all drinks to that currently applied to liquor, or, after equalizing on all drinks, indexing the tax to inflation. Price increases would appear to have most influence on the consumption of the young and the heavy drinker, and least on the moderate and occasional drinker. to the cultural environment of the Nordic countries, in which strict per-se laws with low BAC limits have widespread public support. He writes that there is reason to believe that large groups of the population will in practically every situation abstain from driving after drinking. As such behavior is uncommon in the US, and automobile transport is more available to all sectors of society, it seems likely that impediments to availability might lead to reductions in traffic crashes. Such an observation is somewhat academic for the market-driven distribution system in most US states. Some states control price and availability, but laws prohibiting transportation between states (because of differing state taxes) are rarely supported by credible enforcement. It is still possible that hours of legal sale and such constraints could be used to affect consumption. The experience of "Prohibition" is sometimes offered as evidence that making alcohol more difficult to obtain does not influence consumption. Prohibition was the period from 1920 to 1933 when, in compliance with the 18th Amendment to the US Constitution, the manufacture or sale of any drink with more than 0.5% alcohol was prohibited. The effects of this unfortunate attempt at social engineering on a grand scale were unquestionably tragic, and many ill-effects still linger to this day. However, its catastrophic failure by nearly all measures does not mean that it did not reduce alcohol consumption. We have almost no direct knowledge about how it affected alcohol consumption because the problem of obtaining reliable information, difficult under normal circumstances, becomes impossible when extreme measures are taken to conceal it. However, time trend data for cirrhosis and alcoholism presented by Gerstein [1981, p. 195] suggest that alcohol consumption declined by about 50% during prohibition. Traffic fatalities (Fig. 3-12) were changing too rapidly to allow any inferences about alcohol effects. It is sometimes claimed that increasing the cost and difficulty of obtaining alcohol will simply lead to illegal manufacture and transport, as happened during prohibition. While this is clearly true at high levels of cost and difficulty of obtaining, illegal activity will occur only if the rewards exceed the costs and risks. During prohibition there were large shipments of alcohol into the US from Canada, where manufacture was legal. Today, when Canadian taxes make alcohol substantially more expensive than in the US, there are no reports of smuggling in the opposite direction. Similarly, although state taxes on alcohol vary from US state to state, the differences do not attract illegal shipments at the wholesale level, although many individual users violate unenforced laws. Perhaps the clearest indication of reductions in traffic deaths following reduced alcohol availability occurred when, from the mid 1970's to the mid 1980's, all US states increased the minimum age to purchase or consume alcohol to 21 years, from earlier ages of 18 to 20. Wagenaar  reports that drops in crashes, arrests for alcohol driving offenses, and reduced beer consumption are associated with these changes. The National Highway Traffic Safety Administration  reports a 13% reduction in fatal-crash involvements of affected drivers. Restrictions on the availability of alcohol to those under 21 years is politically possible because of the lack of political influence of this group. Even though voting rights are available at 18, few in the 18 to 21 year interval choose to vote. Modest increases in the difficulty of obtaining alcohol by the much larger fraction of the population which is over 21 run into more formidable opposition. The decisions individuals make regarding when, what and how much to drink are influenced by the overall social framework in which they are embedded. Their behavior is responsive to a social norm, meaning, basically, that people tend to behave in ways that are admired by those whose esteem they solicit. Alcohol use, especially by young males, who contribute so disproportionately to traffic crashes, seems to be deeply intertwined with social norms regarding masculinity and growing into manhood. Social norms arise from many inputs all interacting together. They are in a constant state of flux. Public policy unquestionably influences social norms, even if not always in the intended direction. Changes in social norms can produce changes in traffic safety. Changes in social norms with respect to drinking and driving may have the potential to generate harm reductions like those those already achieved from changing social norms regarding other health-threatening habits. approximately three quarters of a million Americans avoided or postponed smoking-related deaths; worldwide, the death toll from smoking is estimated at two and a half 2.5 million per year [Warner 1990] (compared to half a million from traffic crashes). Dramatic changes in prevailing social norms regarding smoking are readily apparent. They are easily perceived by a traveller flying from one of the many US airports which prohibit smoking except in designated areas. Smoking is prohibited on all flights taking off and landing in North America, as of 26 January 1990. In the mass media, the smoking hero has so disappeared from the modern entertainment scene that in older movies he looks more comical than heroic to many younger Americans. My own view is that of all the factors which contributed to declines in tobacco consumption, the greatest contributions came from the relative disappearance of smoking on television, both in advertising and in programming. The decision in programming was not mandated nor, on the whole, consciously articulated. It was more a response to changing expectations and values, this response in turn further changing these same values. Today the average American child sees no television commercials for cigarettes. In contrast, Postman et al. estimate that American children see about 100 000 television commercials for beer as they are growing up. Such commercials appear with programs aimed especially at young males, both above and below the legal age for drinking, and associate the product with the types of positive attributes to which healthy young males aspire. While usually presented in a social atmosphere, there is generally no indication of how anyone got there, even though in the US the mode of transport almost certainly involves driving. Atkin  reports that more than $600 million was spent on television commercials for beer in 1986. Content analysis showed a wide variety of benefits are frequently linked to the product, in the following order of prevalence; social camaraderie, masculinity, delicious flavor/good taste, escape, femininity, romance, adventure, refreshment, physical relaxation, and elegance. Atkin  comments, "Three advertising-promoted beliefs may disinhibit drinkers through legitimization and rationalization: the conceptions that drinking is a widespread norm, that alcohol is a harmless substance, and that deficit motivations such as escape and relief are acceptable reasons for drinking." In contrast to the widespread advertising of beer on television, the advertising of liquor is prohibited. If advertising one of these drinks were to be prohibited, then prohibiting beer rather than liquor advertising is expected to lead to larger traffic crash reductions. Of those arrested for drunk driving in the US [Greenfeld 1988], more than twice as many had been drinking only beer as had been drinking only liquor. Specifically, of those arrested, 54% self-reported drinking only beer, compared to 23% drinking only liquor, and 2% drinking only wine. The remaining 21% reported drinking two or more drink types. let alone advertised. The claim that beer is a legal product, and therefore should be advertised without constraint seems to have no more logic than the claim that it is a legal product and therefore ought to be marketed without restraint. Everyone seems to accept restraints in marketing -- certainly I am unaware of the industry ever pushing for vending machine sales. Prohibiting beer advertising on television involves no grand principal whatever, since advertising of a largely equivalent product, liquor, is already prohibited. driving arrests of men in North Carolina from 1976 to 1984, female arrests increased by 43% [Popkin et al. 1986]. There are few restrictions regarding selling cigarettes, which must not be advertised on television; a restaurant requires a difficult-to-obtain license to sell beer, which is widely advertised on television. There are widespread prohibitions against consuming alcohol in public places; in the past such restrictions against smoking were rare, but are becoming more common at a fast rate. Still, one does not find "drinking" sections in public places provided for those who have brought along their own drinks. There is a substantial body of medical and other opinion that alcohol consumed in moderate quantities might produce health benefits. There is no corresponding view regarding smoking, for which the evidence is increasingly that the health harm increases monotonically with consumption. Although the US Environmental Protection Agency estimates that second-hand smoke from the greatly reduced numbers of smokers is still responsible for the deaths of 3800 nonsmokers each year, a much larger fraction of the disease and premature death from smoking is still borne by those indulging in the habit than is so for alcohol abuse. Many of the points made in defense of present policies regarding beer advertising parallel those made a couple of decades ago regarding cigarette advertising. However, what in fact happened contained little of the dread that was feared. The advertising-supported evening news is still broadcast by all television networks, most of the producers of the product causing so much harm have been flexible enough to thrive, employees have not lost their jobs in droves, the public does not feel that it has been deprived of rights guaranteed under the US Constitution, etc. On the other side of the ledger are the dramatic benefits in health documented by Warner [1989a; b]. The approach to drunk driving in the US prior to the 1980's was somewhat ambiguous; even when laws were stringent, enforcement tended to be lax. A major change occurred in the 1980's, largely stimulated by citizen activist groups representing the families of victims of crashes involving drunk drivers. The best known such group is Mothers Against Drunk Driving (MADD), which was founded in 1980 by Candy Lightner after her 13-year-old daughter, a twin, was struck by car driven by a drunk driver and killed as she was walking on a bicycle path in the middle of the day on 3 May 1980. The fact that the driver had prior convictions, and had been out of jail on bail only two days for another hit-and-run drunk driving crash prior to this fatal crash, focused attention on the judicial system as a contributor to the tragedy. A main thrust of MADD has been to advocate more severe punishments, such as more and longer prison sentences. MADD furthers these goals by "court monitoring", in which members observe the court proceedings and encourage the judicial process to take the rights of victims, and potential victims, into account at sentencing. A citizen activist group which predated MADD was Remove Intoxicated Drivers (RID), founded in 1978.
activity. Note the decline in both legislative activity and in news stories in the late 1980's. Ross [1987a] takes exception to the positions of victim's movements such as MADD, which he claims focus all their anger and grief on the individual drunk driver while ignoring other important contributory features of the society of which the drunk driver is a member. He notes, for example, that MADD was for some time heavily subsidized by a brewing company. Ross [1987a] claims further that it is probability of detection, and not severity of punishment, that deters drunk driving [Ross 1984]. Further evidence that severity of punishment has little influence on drunk driving is provided by a comparison of drunk driving in nearby jurisdictions with different severities of punishment [Ross and Voas 1989]. In a sense, the ultimate punishment for drunk driving is death in a traffic crash, and if this severity does not deter the behavior it is not surprising that increased fines or prison sentences do not generate observable changes. It is the probability of being arrested, rather than the severity of punishment after arrest, which exercises a larger control on behavior. As the probability of being arrested in the US on a drunk driving trip is about one in one thousand, even doubling the police resources devoted to detection would increase this to only one in five hundred. In the face of such miniscule levels of actual threat, the proclaimed penalties lose credibility. increase penalties have had an influence not through the increased deterrence effects of harsher penalties, but through harnessing the law in its role as educator and definer of acceptable behavior. An even larger influence is through the mass media. Mercer  finds reductions in drunk driving in British Columbia, Canada, to be more related to media coverage than to police roadcheck "blitz". Increasing public awareness has become the most common program emphasis among the citizen activist groups [McCarthy, Wolfson, and Harvey 1987]. Their widespread mass media coverage, including a full length television movie on the tragedy that struck Candy Lightner's family, stimulated many people to reflect more on possible negative factors associated with drinking. Although the coverage was modest compared to the television messages associating beer with positive characteristics, I believe that the impact was important. Working on behalf of MADD provides a measure of therapeutic relief to parents who have lost a child to a drunk driver; their testimony makes it harder for society to continue to look upon the drunk as an endearing figure of amusement. Such changing attitudes make drunk driving a less acceptable form of behavior. undoubtedly changed in this period is increased concern about health in general. These changes have been associated with declining alcoholic beverage consumption per capita. Although the reductions in harm from alcohol-related crashes have been impressive, it should be kept in mind that 47% of US traffic fatalities, or about 22 000 deaths per year, are still attributable to alcohol. Further progress in reducing harm from drunk driving will have to focus on broader interventions than the traditional one of aiming almost exclusively at the drunk driver. As Gusfield [1988, p. 119] writes "It is just as logical to control the institutions that sell alcohol, to treat chronic alcoholics or `alcohol abusers,' and to maintain high prices on alcohol as it is to prohibit and punish driving under the influence." It should be noted that approaches aimed at alcohol use provide benefits well beyond reductions in traffic crashes. Roizen  reports that up to 85% of homicide offenders and homicide victims had been drinking; The President's Commission on Law Enforcement and Administration of Justice  finds 40% to 49% of all non-traffic arrests in the US are for alcohol-related offenses. It seems to me that two simple "laws" appear to pertain to the alcohol and traffic safety problem. Law 1. Decreased consumption of alcohol leads to decreased traffic deaths and injuries. shoulders of anyone claiming it does not apply in some specific case to provide convincing reasons why not. The veracity of this law does not have any immediate policy implications, no more than does the equally valid law that decreasing freeway speed limits decreases fatalities. Such laws should be acknowledged inputs to policy decisions. One profound difference between the speed and alcohol case is that there is no large industry whose earnings depend directly and primarily on higher speed limits. It is hard to imagine any set of circumstances, even of a hypothetical nature, in which all components of Law 2 would not apply. The only disagreement with Law 2 that I have ever heard expressed is by those with an interest in selling alcohol. Given their claims that the law does not apply, it is difficult for me to understand why they still oppose applications of it! The claim that advertising is used merely to attract users of one brand to another brand is entirely unconvincing. If it were true, then a prohibition of advertising would leave the alcohol industry, collectively, richer by the amount of their entire advertising budgets. It would be in their collective economic interest to lobby for, not against, such a measure. In any event, if alcoholic beverages are competing with other beverages, advertising them would still stimulate switching from non-alcoholic to alcoholic beverages. Alcohol is responsible for more traffic deaths -- about 22 000 per year in the US -- than any other single factor. Large though the traffic losses due to alcohol are, they would be considerably larger were it not for implementation in the past of many countermeasures. Important among these is the development of "per se" laws which proscribe driving with BAC in excess of some legally specified limit, typically 0.1% in the US, but lower elsewhere. There are a number of approaches which have the potential to further reduce losses attributable to alcohol, such as increasing the perceived probability of detection for violating drunk driving laws. reductions in alcohol consumption. Increases in price and difficulty of obtaining, and decreases in advertising, all lead to reduced alcohol consumption. The main potential for large decreases in drunk driving are in the synergistic interaction of the types of factors which led to such dramatic changes in smoking. These factors include the elimination of television advertising, and the general glamorizing of the product in fictional representations. Allen, R.W. ; Stein, A.C. Jex, H.R. Field test of a drunk driving warning system (DDWS). American Association for Automotive Medicine, 28th Annual Proceedings, p. 261-272; 1984. Arthurson, R.M. Evaluation of random breath testing. Rosebury, NSW, Australia: Roads and Traffic Authority, Road Safety Bureau, research note RN 10/85; 1985. Atkin, C.K. Television, socialization and risky driving by teenagers. Alcohol, Drugs, and Driving 5(1):1-11; 1989. Broughton, J. Predictive models of road accident fatalities. Traffic Engineering and Control 29:296-300; 1988. Cairney, P.T. ; Carseldine, D. Drink driving and random breath testing: a survey of knowledge, attitudes, beliefs and self-reported behaviour. Rosebury, NSW, Australia: Roads and Traffic Authority, Road Safety Bureau, research note RN 3/89; July 1989. Chafetz, M. Training in intervention procedures: a prevention program. Abstracts and Reviews in Alcohol and Driving 5(4):17-19; 1984. Colsher, P.L. ; Wallace, R.B. Is modest alcohol consumption better than none at all? An epidemiologic assessment. Annual Review of Public Health 10:203-219; 1989. Compton, R.P. Potential for application of ignition interlock devices to prohibit operation of motor vehicles by intoxicated persons. Washington, DC: National Highway Traffic Safety Administration, report DOT-HS-807-281; May 1988. Cook, P.J. The effect of liquor taxes on drinking, cirrhosis, and auto accidents. In: Moore M.H. ; Gerstein D.R., editors. Alcohol and public policy -- beyond the shadow of prohibition. Washington, DC: National Academy Press, p. 255-285; 1981. Donelson, A.C. The alcohol-crash problem. In: Laurence M.D. ; Snortum J.R.; Zimring F.E., editors. Social control of the drinking driver. Chicago, IL: University of Chicago Press, p. 3-40; 1988. Frank, J.F. Further laboratory testing of in-vehicle alcohol test devices. Washington, DC: National Highway Traffic Safety Administration, report DOT-HS-807-333; November 1988. Geller, E.S. ; Lehman, G.R. Drinking-driving intervention strategies: a person-situation-behavior framework. In: Laurence M.D. ; Snortum J.R.; Zimring F.E., editors. Social control of the drinking driver. Chicago, IL: University of Chicago Press, p. 297-320; 1988. Gerstein, D.R. Alcohol use and consequences. In: Moore M.H. ; Gerstein D.R., editors. Alcohol and public policy -- beyond the shadow of prohibition. Washington, DC: National Academy Press, p. 182-224; 1981. Glad, A. After 50 years with a per se law -- the drinking and driving problem in Norway. In: Noordzij, P.C. ; Roszbach, R, editors. Alcohol, drugs and traffic safety - T86, Proceedings of the 10th International Conference on Alcohol, Drugs and Traffic Safety. Amsterdam, Netherlands: Elsevier Science Publishers, p. 241-244; 1987. Greenfeld, L.A. Drunk driving. Bureau of Justice Statistics Special Report NCJ-109945. Washington, DC: US Department of Justice, Bureau of Justice Statistics; February 1988. Gusfield, J.R. The control of drinking-driving in the United States. In: Laurence M.D. ; Snortum J.R.; Zimring F.E., editors. Social control of the drinking driver. Chicago, IL: University of Chicago Press, p. 109-135; 1988. Hauge, R. The effects of changes in availability of alcoholic beverages. In: Laurence M.D. ; Snortum J.R.; Zimring F.E., editors. Social control of the drinking driver. Chicago, IL: University of Chicago Press, p. 169-187; 1988. Howland, J. Social norms and drunk driving countermeasures. In: Graham J.D., editor. Preventing automobile injury -- new findings from evaluation research. Dover, MA: Auburn, p. 163-180; 1988. Jex, H.R. ; McDonnell, J.D. ; Phatak, A.V. A "critical" tracking task for man-machine research related to the operator's effective delay time. Part 1: theory of experiments with a first-order divergent controlled element. NASA CR-616; November 1966. Job, R.F.S. The application of learning theory to driving confidence: the effect of age and the impact of random breath testing. Accident Analysis and Prevention 22:97-107; 1990. Jones, R.K.; Joscelyn, K.B. Alcohol and highway safety, 1978: a review of the state of knowledge. Washington, DC: National Highway Traffic Safety Administration, report DOT-HS-5-01207; 1978. Jones, T.O. ; Tennant, J.A. A critical evaluation of the Phystester: a test for driver impairment. American Association for Automotive Medicine, 16th Annual Proceedings, Chapel Hill, NC, p. 274-306; 19-21 October 1972. McCarthy, J.D. ; Harvey, D.S. Independent citizen advocacy: the past and the prospects. Surgeon General's workshop on drunk driving -- background papers, p. 247-260. Washington, DC; 14-16 December 1988. Mercer, G.W. The relationships among driving while impaired charges, police drinking-driving roadcheck activity, media coverage and alcohol-related casualty traffic accidents. Accident Analysis and Prevention 17:467-474; 1985. Moore M.H. ; Gerstein D.R., editors. Alcohol and public policy -- beyond the shadow of prohibition. Washington, DC: National Academy Press; 1981. Mosher, J.F. Server intervention: a new approach to preventing drinking driving. Accident Analysis and Prevention 15:483-497; 1983. Mosher, J.F. ; Jernigan, D.H. New directions in alcohol policy. Annual Review of Public Health 10:245-279; 1989. National Highway Traffic Safety Administration. Alcohol and highway safety 1984: a review of the state of the knowledge. Document DOT-HS-806-569. Washington, DC; February 1985. National Highway Traffic Safety Administration. The impact of minimum drinking age laws on fatal crash involvements: an update of the NHTSA analysis. Document DOT-HS-807-349. Washington, DC; January 1989. Ornstein, S.I. Control of alcohol consumption through price increases. Journal of Studies on Alcohol 41:807-818; 1980. Popkin, C.l. ; Rudisill, L.C; Geissinger, S.B. ; Waller, P.F. Drinking and driving by women. American Association for Automotive Medicine, 30th Annual Proceedings, Montreal, Quebec, p. 1-14; 6-8 October 1986. Thompson, R.R. ; Tennant, J.A. ; Repa, B.S. Vehicle-borne drunk driver countermeasures. In: Israelstam, S.; Lambert, S., editors. Proceedings of the 6th International Conference on Alcohol, Drugs and Driving. Toronto, Ontario, Addiction Research Foundation of Ontario, p. 347-363; 1975. Phelps, C.E. Death and taxes -- an opportunity for substitution. Journal of Health Economics 7:1-24; 1988a. Phelps, C.E. Alcohol taxes and highway safety. In: Graham, J.D., editor. Preventing automobile injury -- new findings from evaluation research. Dover, MA: Auburn, p. 197-219; 1988b. Postman, N.; Nystrom, C.; Strate, L.; Weingartner, C. Myths, men and beer: an analysis of beer commercials on broadcast television, 1987. AAA Foundation for Traffic Safety, 1730 M. St. NW, Washington, DC; 1987. President's Commission on Law Enforcement and Administration of Justice. Task force on drunkeness. Task Force Report, Washington, DC; 1967. Roads and Traffic Authority. Road traffic accidents in New South Wales 1988. Rosebury, NSW, Australia: Road Safety Bureau; May 1989. Reed, D.S. Reducing the costs of drinking and driving. In Moore M.H. ; Gerstein D.R., editors. Alcohol and public policy -- beyond the shadow of prohibition. Washington, DC: National Academy Press, p. 336-387; 1981. Roizen, J. Estimating alcohol involvement in serious events. In: Alcohol and health, monograph No. 1, Alcohol consumption and related problems, US Department of Health and Human Services; 1982. Ross, H.L. Deterring the drinking driver. Lexington, MA: Lexington Books; 1984. Ross, H.L. The Scandinavian myth: the effectiveness of drinking-and-driving legislation in Sweden and Norway. Journal of Legal Studies 2:1-78; 1975. Ross, H.L. The brewing industry views the drunk-driving problem. Accident Analysis and Prevention 18:495-504; 1986. Ross, H.L. Reflections on doing policy-relevant sociology: how to cope with MADD mothers. American Sociologist 18:173-178; 1987a. Ross, H.L. Brewers view of drunk driving: a critique. Accident Analysis and Prevention 19:475-477; 1987b. Ross H.L. ; Voas, R.B. The new Philadelphia story: the effects of severe penalties for drunk driving. AAA Foundation for Traffic Safety, 1730 M. St. NW, Washington, DC; March 1989. Russ, N.W. ; Geller, E.S. Training bar personnel to prevent drunken driving: a field evaluation. American Journal of Public Health 77:952-954; 1987. Saffer, H.; Grossman, M. Beer taxes, the legal drinking age, and youth motor vehicle fatalities. Journal of Legal Studies 26:351-374; 1987. Snortum, J.R. Deterrence of alcohol-impaired drivers. In: Laurence M.D. ; Snortum J.R.; Zimring F.E., editors. Social control of the drinking driver. Chicago, IL: University of Chicago Press, p. 189-226; 1988. Tennant, J.A. ; Thompson R.R. A critical tracking task as an alcohol interlock system. SAE paper 730095. Warrendale, PA: Society of Automotive Engineers; 1973. Traffic Injury Research Foundation of Canada. Crossroads -- a National Newsletter on Drinking and Driving 3(1):1-1; 1989. Vingilis, E. Drinking drivers and alcoholics -- are they from the same population?. In: Smart, R.G. ; Glasser, F.B. ; Israel, Y; Kalant, H.; Popham, R.; Schmidt, W., editors. Research advances in alcohol and drug problems, Vol. 7. New York, NY: Plenum Press, 299-342; 1983. Vingilis, E. The six myths of drinking-driving prevention. Health Education Research 2:145-149; 1987. Voas, R.B. Cars that drunks can't drive. National Highway Safety Bureau Report HS-810 169. Washington, DC; 1969. Voas, R.B. Emerging technologies for controlling the drunk driver. In: Laurence M.D. ; Snortum J.R.; Zimring F.E., editors. Social control of the drinking driver. Chicago, IL: University of Chicago Press, p. 321-370; 1988. Wagenaar A.C. Alcohol, young drivers, and traffic accidents: effects of minimum-age laws. Lexington, MA: Lexington Books; 1984. Wagenaar A.C.; Streff, F.M. Macroeconomic conditions and alcohol-impaired driving. Journal of Studies on Alcohol 50:217-225; 1989. Waller, J.A. : Injury control -- a guide to the causes and prevention of trauma. Lexington, MA: Lexington Books; 1985. Warner, K.E. Effects of the antismoking campaign: an update. American Journal of Public Health 79:144-151; 1989a. Warner, K.E. Smoking and health: a 25-year perspective. American Journal of Public Health 79:141-143; 1989b. Warner, K.E. Tobacco taxation as health policy in the third world. American Journal of Public Health 80:529-531; 1990. Williams, G.D.; Stinson, F.S. ; Parker, D.A. ; Harford, T.C. ; Noble, J. Demographic trends, alcohol abuse and alcoholism, 1985-1995. Epidemiologic Bulletin No. 15. Alcohol Health and Research World 11(3):80-83,91; 1987.